Until the R8 came along the Audi RS4 was the German premium car company’s most potent offering with supercar performance wrapped up in a sophisticated four-seat cabriolet. Under the bonnet is one of the motoring world’s finest engines – a high revving V8 which sounds as good as it goes. Inside, the cabin is smart but sporting and an excellent fabric roof covers the taut chassis. 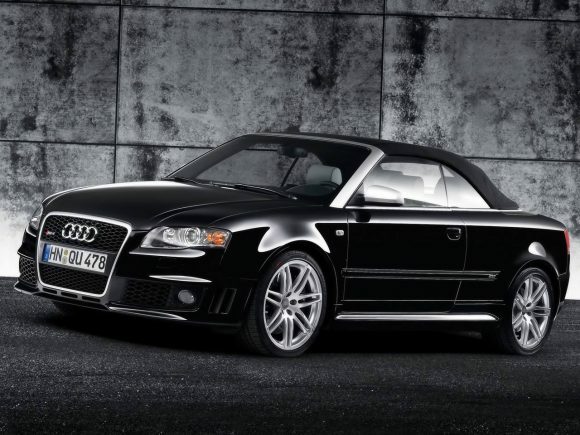 The Audi S4 Cabriolet had already set the bar high, but further engine development to include FSI direct fuel injection and a revised cylinder block construction to allow for higher power output and a rev limit of 8,250 rpm. Aluminium body panels were used at the front of the car to improve weight distribution. Axle track is widened and the ride height is lower than standard A4 cars and could be lowered further with the optional Sports Suspension Plus. Unlike the S4 which had a 6-speed Tiptronic option, the Audi RS4 Cabriolet was only available with a 6-speed manual transmission. 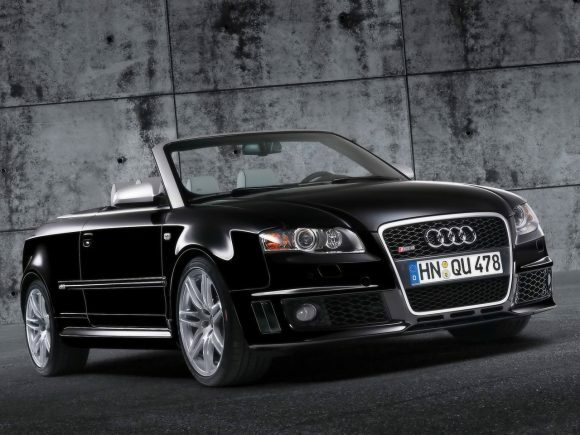 The Audi RS4 Cabriolet is hard to beat as a fast, luxurious four-seat convertible, its only weakness is that its steering is not quite so nimble as the BMW M3. Quite a car, though. Replaced by the RS5 Cabriolet which shares the same engine. Do you drive an Audi RS4 Cabriolet? Would you recommend it to others? Start the conversation and let us know what you think of the car.